London is still the world’s top destination for investment in commercial real estate despite ongoing uncertainty about Brexit, well above both Manhattan and Paris, the next two biggest markets, new research shows. 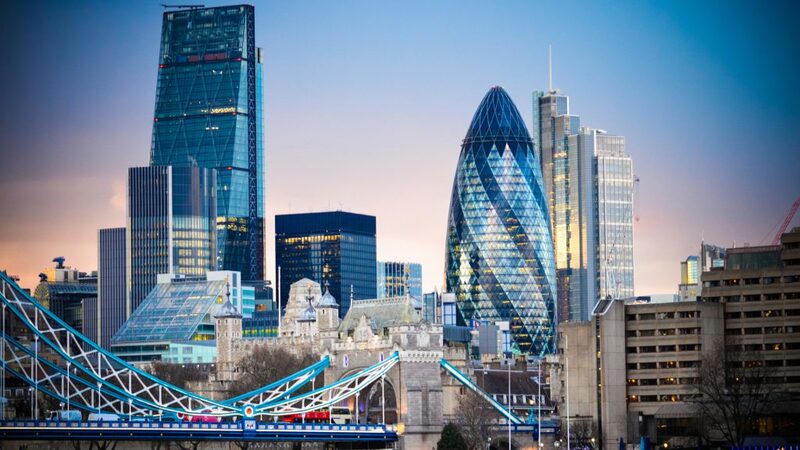 Some £16.2 billion was invested in central London’s commercial offices in 2018 compared with £14.3 billion in Manhattan, £12.1 billion in Paris and £8.4 billion in Hong Kong, according to the analysis report from international real estate firm Knight Frank. It also reveals, that while total investment volumes for central London were down slightly on 2017, the average deal size rose to an all-time high of £81.5 million in 2018 and it is predicted that there could be investment of £40 billion this year. Greater China remains the largest source of investment in central London real estate, despite new capital restrictions imposed this year, accounting for £3.48 billion in 2018 and 21% of all investment in central London offices last year. The firm points out that although Greater China remains London’s biggest source of capital, the total volume of investment from the region was down 51% on 2017, when central London saw a record £7.12 billion invested into commercial offices from Chinese investors. But 2018 saw South Korea significantly increase its investment in central London, with £2.56 billion invested in the capital, an eight fold increase on the £300 million invested in 2017 while investment from the Far East as a whole accounted for 47% or £7.67 billion of all investment in central London offices in 2018.However, Greater China is still expected to be the biggest potential investor in London this year with £10 billion, or 25% of the total investment projected for 2019. ‘Although 2019 presents ongoing challenges, international investors remain undeterred. Our Global Capital Tracker identifies £40 billion still targeting London this year, with some seeing the political turbulence and currency weakness as an opportunity, combined with the strong occupational market fundamentals,’ said Nick Braybrook, head of central London capital markets at Knight Frank. ‘Whilst demand from Greater China has reduced, they were still very active in 2018. The reduction is also partly countered by increases in demand from Singapore and Japan, and interestingly the tracker shows an increase in domestic demand this year. Domestic demand is often the first to react to improvements in occupier market trends,’ he added. According to William Beardmore-Gray, head of central London at Knight Frank, it is the most attractive city in the world for long term investment as it has proved its ability to adapt to meet the demands of the modern global economy. ‘Big banks like Deutsche, tech giants like Apple and Facebook and life sciences groups like GSK are the heartbeat of our capital. The growth in co-working space is a positive sign of London’s dynamism and the vitality of the creative economy. London’s resilience and reputation as a safe haven for investment, despite Brexit, is remarkable,’ he said. ‘We see further positive transformation in the pipeline, as London is set to become a centre of scientific research and development and will draw capital from new investors unknown to the market before. London’s potential continues to grow, with new sub-markets emerging in Nine Elms, Stratford and White City,’ he explained. He believes that while leaving the European Union will be difficult, as long as London has fantastic infrastructure and places, great institutions and security, excellence in education and an abundance of talent, property occupiers and investors will continue to flock here from across the globe.